Ermelinda currently serves as the California Representative, PGPA State Government Affairs. She advocates on behalf of Chevron before the California State Legislature and the executive branch on legislative and regulatory issues. 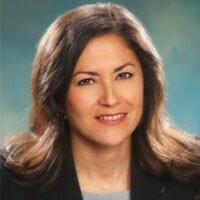 In addition to her position as an advocate, Ermelinda represents Chevron on the California Resources Petroleum Group, the legislative committee of the Western States Petroleum Association, and serves on the advisory committees for the Congressional Hispanic Caucus Institute and the California Foundation for the Environment and the Economy, and the California Manufacturers and Technology Association. She is also a member of the Sacramento Regional Conservation Corps Board of Directors and the Cristo Rey High School Sacramento Work Study Committee, both organizations of which are focused on improving the lives of low-income minority youth through education and work experience. Prior to joining Chevron in 2012, Ermelinda served as both legislative and committee staff in the state legislature, working on a variety of complex policy areas, including insurance, labor, and budget issues. She was also an advocate for a leading California based insurance trade association, representing the largest property and casualty insurance companies in the nation, on homeowners’ insurance issues before the California State Legislature and California Department of Insurance. Ermelinda graduated with a Bachelor of Arts degree in Government from the California State University, Sacramento. She resides in Sacramento California with her husband Matt Moretti.